135 W. Michigan--Signature Sewing--Built around 1835. The brick for this building was drawn from Ann Arbor and it is probably the earliest building on US 12 west of Ann Arbor that was brick. Clinton was an important early commercial center for this area. This building was long know as Demuth’s and is now owned by Robert and Shirley Harris. This house, formerly known as the Hause house, was built around 1839 with a major addition made in 1892. 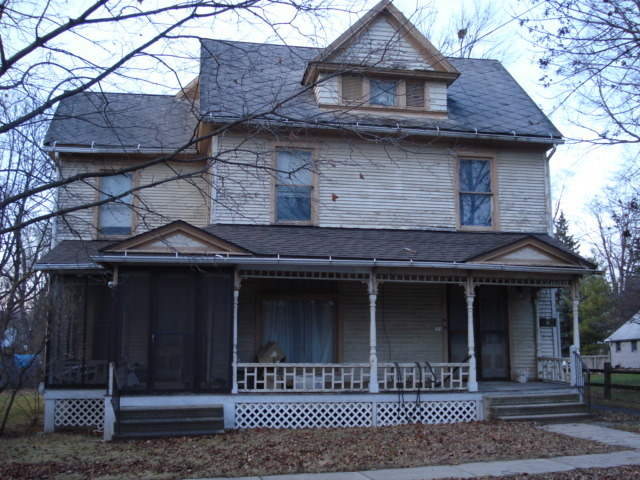 The current owner, Eric Roberts is working on renovating this large house. This house was built in the Greek Revival style around 1857 by Oliver Allen. 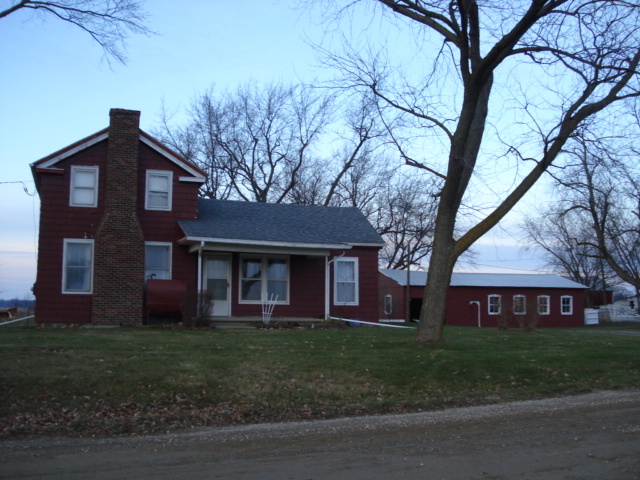 It was formerly known as the Kehoe Farm and is now owned by Mickey and Rose Grech. This is a frame house with Victorian elements, which was built around 1895 by the Noones, a Manchester family. Later it was owned by the Rynd and Smith families. The current owners are John and Amy Shovels. 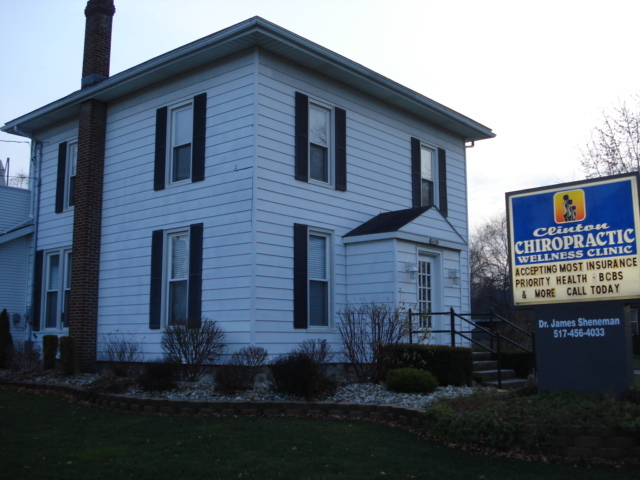 Today this home is known as Clinton Chiropractic Wellness Center. It was built around 1882. It is a four square house. Two of the former owners were Linn Weavers & Van Camps. 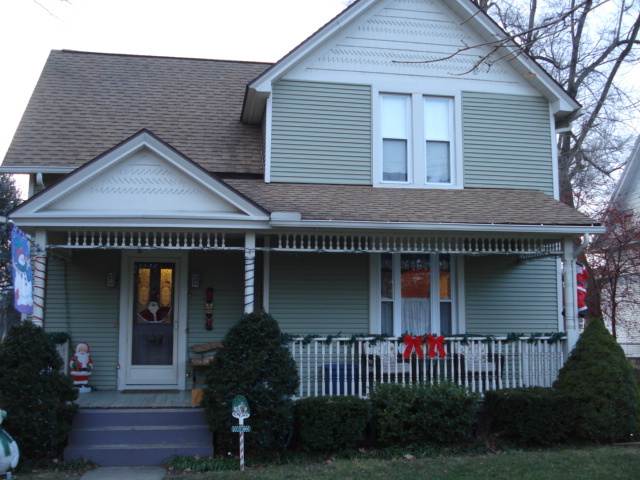 Now it is owned by Dr. James and Mrs. Michelle Sheneman.